Pittsburgh area concerts this month offer interesting acts in several different genres. The biggest performers are Blake Shelton, Michael Bublé, and hard rockers, Disturbed. All bringing their different sounds to PPG Paints Arena. With Valentine’s day in the middle of February there’s some good romantic concerts to be enjoyed. In addition to Bublé, couples seeking romantic tunes can also enjoy the music of the amazing Sarah Brightman, and Jim Brickman. Some rising acts in concert this month include St. Paul and the Broken Bones, Dillon Francis, Andrew McMahon in the Wilderness, and Lotus, who play two nights at Mr. Smalls. Classic artists include America, Three Dog Night, Tommy James and The Shondells, Tesla, and Quiet Riot. Noted alt-rocker Bob Mould performs this month at Mr. Smalls. We also have the Havana, Cuba All Stars visiting the ‘Burgh in February. On the hometown heroes front: Ryan Hoffman and The Pioneers are at Club Cafe, and Bill Toms and Hard Rain play Moondog’s. Get out there and beat the winter blues and blahs with some great live music. 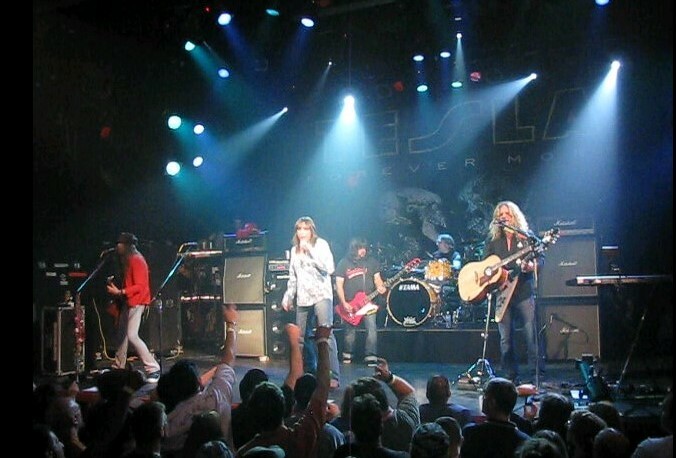 Tesla performing in Poughkeepsie, New York in 2009. (photo: LindaLisa and Wikipedia). Rick Handler is the executive producer of Entertainment Central. Christopher Maggio made substantial contributions to this guide. Mike Vargo also contributed.